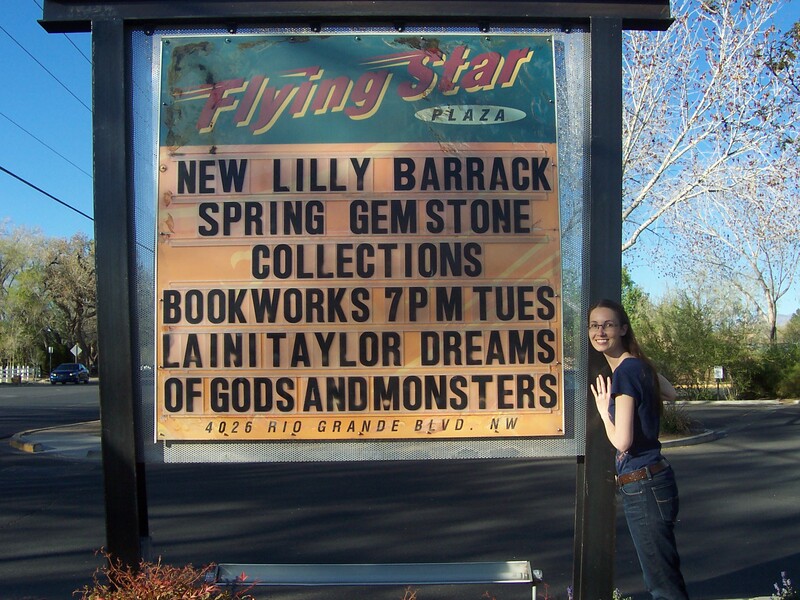 I had such a FANTASTIC time at Laini Taylor’s author event at Bookworks in Albuquerque on April 8 — and I didn’t embarrass myself — which is even better!! I gushed and cried as I wrote this letter to her (seriously, I am that much of a freak, and yes, that is Hello Kitty stationary, circa 1999, because I just don’t write that many letters anymore)– but penning this letter meant that I didn’t babble incoherently or lapse into silence or cry when I talked to her — and I’ll count that as a victory any day! Greg and I left Durango early Tuesday morning, and a man who needed a ride to Albuquerque rode with us. We’d never met the guy before, but he was nice enough, and I typed in the backseat while he chatted with Greg. Four hours later, after dropping him off in the north part of town, we drove straight to the bookshop, because I had to get my hands on Dreams of Gods and Monsters ASAP, and I wanted to know exactly where this event would be held, and just bask in the moment a bit. I made Greg take this picture of me with the sign because — oh godstars — is there anything cooler than reading a sign like that??? Uh, no. After picking up my copy of Dreams of Gods and Monsters, surveying the store, and eating lunch at the adjoining restaurant, we checked into our hotel, and spent the next three hours walking around Old Town Albuquerque. The weather was warm, a lot of shops were open, Native Americans were sellling silver jewelry on blankets, and every time Greg strolled into an art gallery, I devoured more pages of the book. And this book is good. SO good. So incredibly, awesomely, insanely good. I kept tearing up as I read. 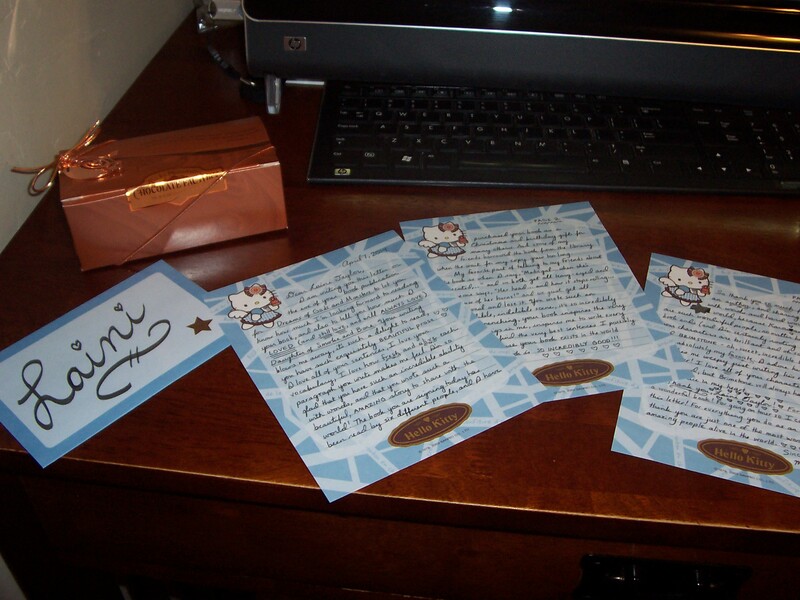 And I kept wishing I had time to finish the book and write another letter for Laini before the event. But no. I can push myself to read fast — but I can’t push myself to read good books that fast. Especially not books as incredibly, awesomely, insanely good as Dreams of Gods and Monsters. So my eve-of-the-talk letter would just have to be enough. After walking around Old Town for hours, I did something really girly I usually only do once a day — I went back to the hotel, and combed my hair (cause it was pretty tangled and windblown). I also changed my tennis shoes (which have cushy soles for walking), and put on my flat shoes again, because I dislike towering over people, which is pretty much my fate in life. 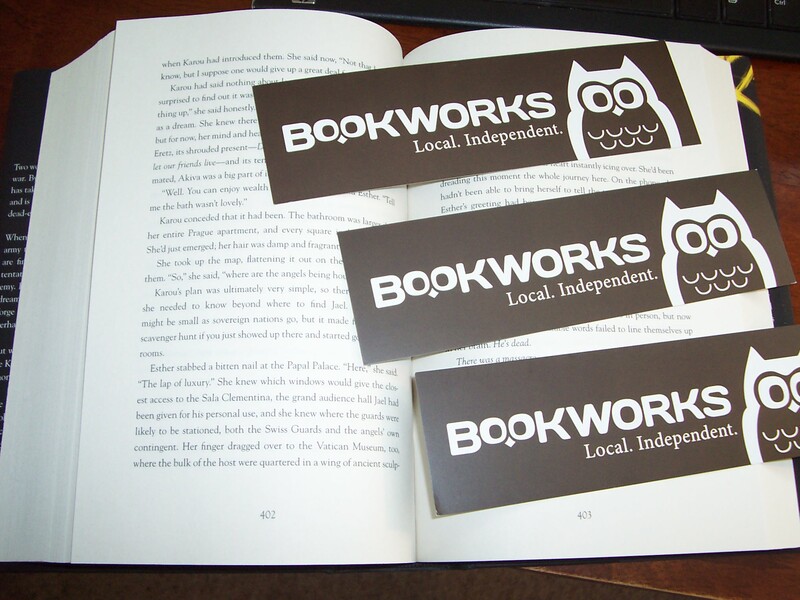 I was too giddy to eat dinner, but I thought Greg might be hungry, so at 5:30, we headed back to Bookworks. Pretty awesome, yes? Those owls!! So cute!! Then I rearranged the first and second rows, and pulled them away from Laini’s author chair an extra two feet, cause I thought the first row was positioned way too close. The woman running the event was fine with this change, and even helped. 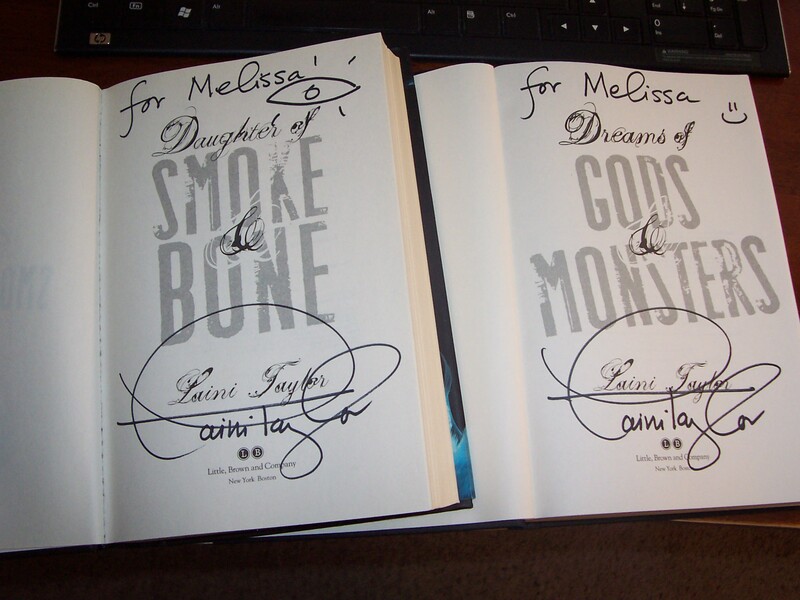 That woman’s name was Connie, and she had made a “smashbook” (aka “scrapbook”) as a thank-you to Laini for coming, which she asked me to sign, and I did, and then I passed this book around to other early-arrivals for them to sign, too. These early-arrivals were… oh my gosh, they were like me in non-me shapes and sizes — voracious readers who freaking Adore the Hell out of Laini Taylor, read her blog like the fan-freaks we are, practically tattoo the words on our bodies when we drown in her prose — and spending the next hour talking and making friends like this — *dissolving in happiness now* — for real. Eventually, it was 7:00, or 7:15-ish, or something like that (my phone was silenced, and then completely turned off, because I would die of shame if that thing made a peep while Laini was speaking) — and at this time, the room was Beyond Packed and crowded, and Connie took center stage. She shared the story of how Laini came to be speaking in Albuquerque to debut the final novel in the Smoke and Bone trilogy, she had us all make weird animal noises so she could retrieve a giant feathered bird head and put it on display behind her, she had us play a Smoke and Bone trivia game (SO fun!! I loved this!) and when it came time to bring Laini out, she had us chant like we were yelling, “Rocky! Rocky!” and I started clapping my hands as I did this, so everyone else clapped too. It was awesome. 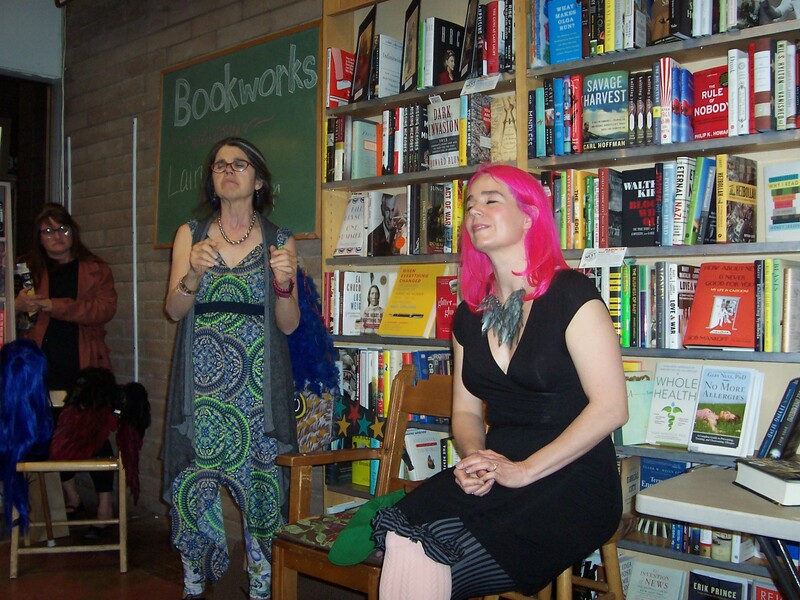 And then Laini was there, and Connie finished her introductions, and Laini asked if she should do a reading or just have a Q&A, and the audience responded with YES, do a reading– DO ALL THE THINGS. She had on a black dress with cool stockings and those little ruffly-pants, and she also had a green jacket, which she took off, because the room was so warm (hello, crowd, so glad you could make it!) and she wore a necklace of feathers. Yeah, seriously. Laini crackles with awesome like a sparkler– you can hear it in her voice, you can feel it when you’re near her. This woman is simply amazing. 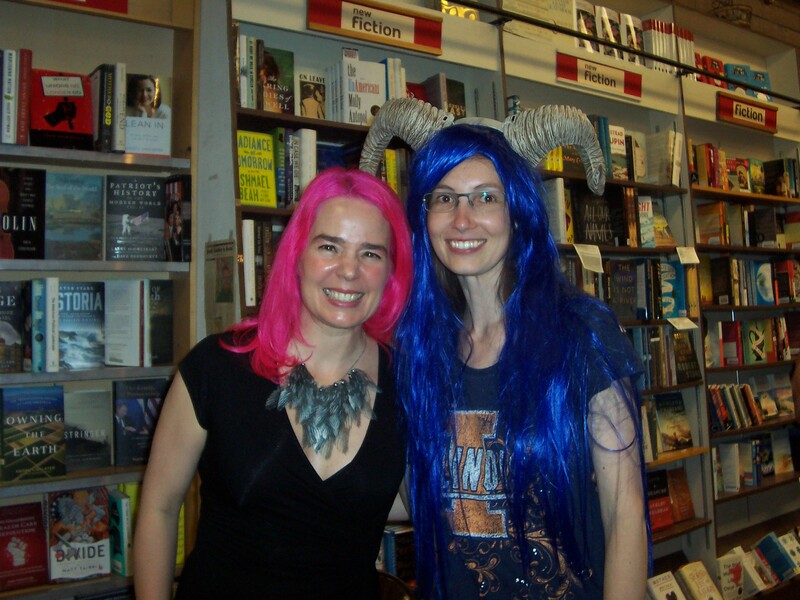 That was so cool– and I felt more than a bit crazy-happy that Laini had asked me a question (the raving lunatic fangirl who is like, barely keeping it together). She has such a beautiful way of writing her name… *more fangirl gushing*!! The thing about Laini Taylor is, she went to school for writing, and after graduation, she was trying to write literary fiction… and it was such a drag, that she grew to hate writing, and went to art school. So she didn’t write for ten years. And then the Harry Potter books came out, and she fell in love with them, along with other great books that were published around that time… and she fell in love with reading again, and this rekindled her love of writing… and she finished writing her first book when she was 35. I knelt down for this picture, so I wouldn’t tower over her, as I’ve learned that pictures look better when I’m not quite Jolly Green Giant-size. I wore a Fighting Illini shirt to this signing because it’s one of the few shirts I own long enough to tuck into my pants. I don’t watch college football (or basketball). But this shirt also has sparkles on it, which is cool. And you can see Laini’s feather necklace. And books behind us. This is now one of my favorite pics ever. 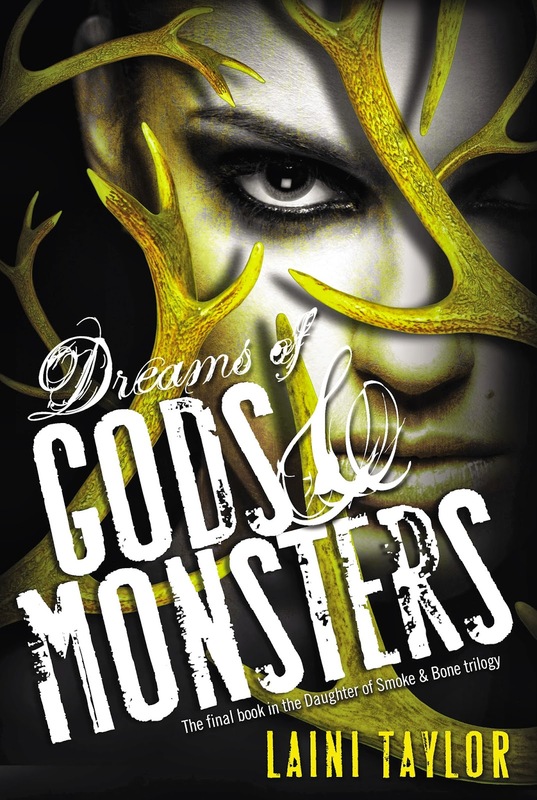 Have I mentioned how Totally Freaking GOOD Dreams of Gods and Monsters is yet? Oh my gosh. SO good. I’m up to page 400 or so… and must finish it today… so thanks for reading about my trip to hear Laini speak! And I hope you devour her books!! 1 Response to Me: NOT Embarrassing Myself!